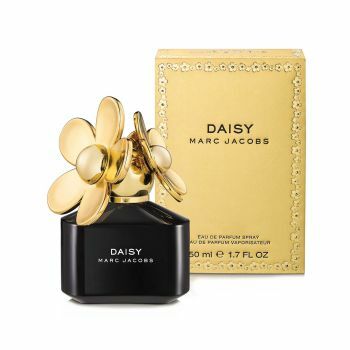 In celebration of his 'Daisy' fragrance, Marc Jacobs introduces 'Daisy' Marc Jacobs Eau de Parfum. Building on the sparkling floral beauty of the original eau de toilette, 'Daisy' has been subtly concentrated to add a hint of decadent luxury to his fresh and feminine scent. This rich, all enveloping fragrance has deliciously soft notes of wild strawberry, violet leaves and ruby red grapefruit combined with a heart of jasmine and violet petals plus gardenia.